Four weeks ago I arrived in Paris with an itinerary full of dates, times, places and trains to catch. Four weeks on, I now have enumerable memories, experiences, aha moments, reassuring moments, growth moments and deepened friendships as well as new friendships that I could never have predicted on that moment I first stepped onto the terra firma of France on June 21st. At this moment I still cannot wrap my mind around all that has unfolded in the past month, but I will be processing it all beginning on the flight home and in the days and weeks ahead. Some have asked when and why this trip, my Tour de France as some have called it, came about. Officially, I knew I was heading to France again since my last visit in 2013 when I finally reserved a spot to attend Patricia Wells’ cooking class in Provence in the summer of 2016 (she announces them two years early, and they fill up in minutes of her newsletter begin delivered). Once my spot amongst seven other travelers and food-lovers was confirmed, I began to solidify all of the details gradually over the course of 18 months. Most of my accommodations were reserved in the spring and early summer of 2017, but a few of the day excursions were plopped in as I came to know exactly where I was on the map and what was in proximity to be enjoyed. As to why I chose to organize my trip as I did. In the back of my mind, I have always loved to cook and have wanted to exemplify the simplicity and ease eating well as well as cooking thoughtfully but without exhaustion in our everyday lives can possibly be. At the same time, I wanted to learn more about the country and the people that had inspired me to dive into the kitchen with great curiosity and passion. 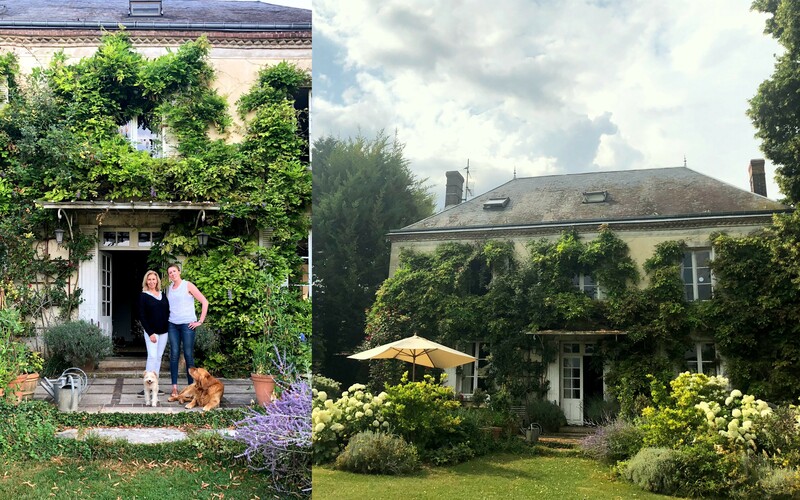 So in large part, my trip was a trip to deepen my knowledge, grow my appreciation and understanding of the customs and approaches in France to enjoying and preparing food in a country that continues to inspire me. Upon arriving home I will begin taping the first season of The Simply Luxurious Kitchen, and I am eager to share so much more of what I have discovered in each episode. While most definitely recipes will be shared, other details such as preparation, organizing your kitchen and creating a welcoming setting for your guests as well as yourself to lay a foundation for beautiful memories will accompany each episode. Episodes will air each Saturday for eight weeks beginning on September 8th, and you can watch the pilot episode here as well as learn more about the concept of The Simply Luxurious Kitchen in this detailed post which was shared in December. The vodcast is already on iTunes and wherever you find your favorite podcasts, so be sure to subscribe so you won’t miss an episode. On my last night in Paris, it was the day after France had won the World Cup, the first time in twenty years. 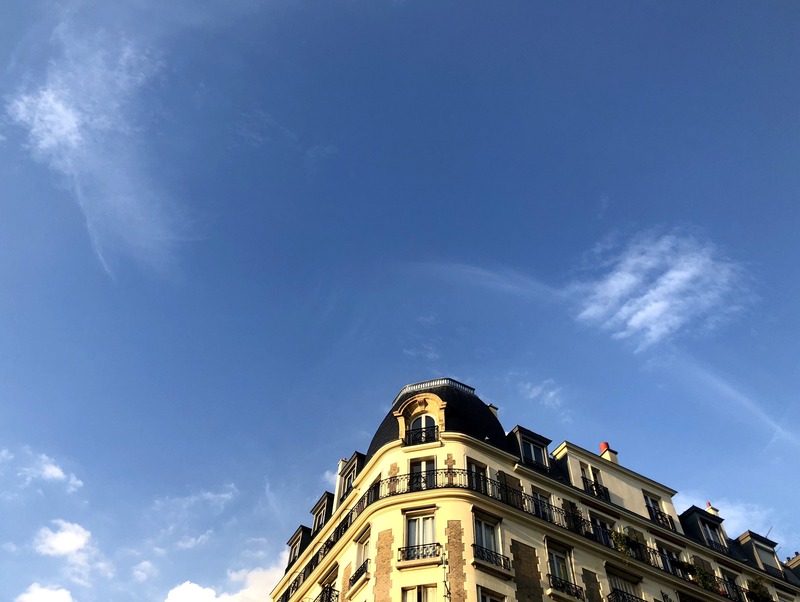 The city was alive with energy amongst the locals as well as the masses of tourists who had descended upon the city since I was just here in June as the team was welcomed back in a grand parade along the Champs Élysêe. To have had the opportunity feel such a unique and beautiful exuberance that could not have been planned is to consider that maybe magic is real because my last night with Sharon Santoni and her family was watching the French capture their victory. And as I share in this IG post from the evening, my time with the Santonis was truly memorable and offered a feeling of home. 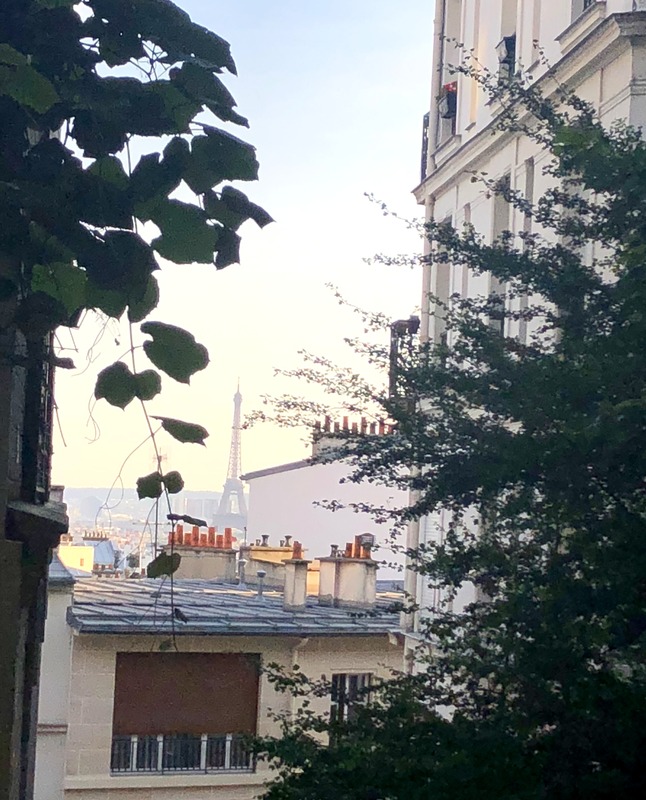 As I wrapped up my last full day of Paris, I had a few final, but certain, destinations and tasks I needed to tend to as I do not know when I will next return to the city. With my purpose for the trip involving culinary growth, I hopped into an Uber and scooted down to A.Simon (seen below) as recommended by David Lebovitz for quality kitchen supplies (picking up those missing utensils and presentation details that after having enjoyed so many meals in France I knew I would want to welcome into my own repertoire), and then just one long block away (the culinary supply neighborhood evidentially ;)), I stepped back through the doors of E.Dehillerin. First let me explain my approach to shopping at this iconic culinary destination. 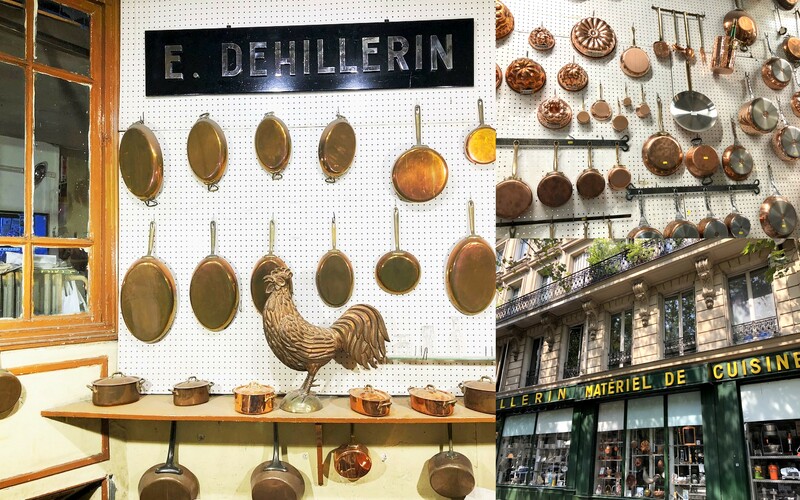 Yes, this is the shop where Julia Child visited and picked up many a piece of cooking accoutrments (check out my IG Stories, France Part 9 in Highlights to see a few pictures of her in the store). 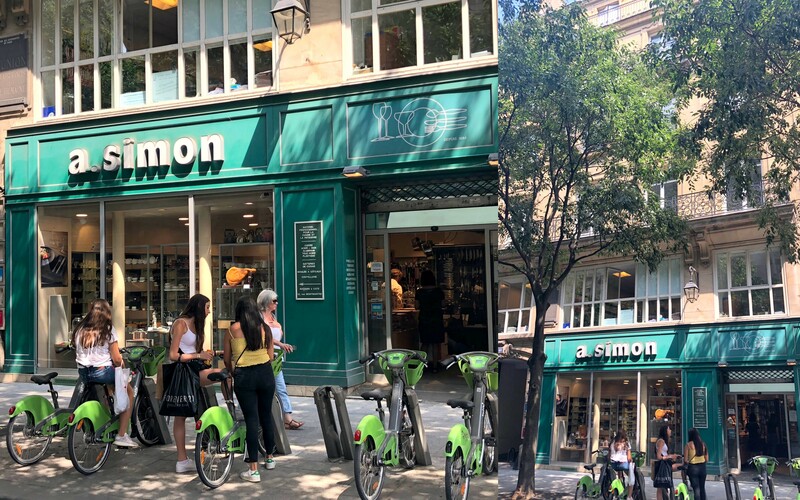 On my second day in Paris back in June, I headed down the hill from Montmartre where I was staying to visit the store. It was within a few minutes of having just opened, a weekday and again, in June. I was the only customer in the store the entire time. It wasn’t until I returned yesterday (in July, in the afternoon) that I realized how fortunate I had been. There were throngs of people from so many different countries (which was fascinating in and of itself as we all shared a love for cooking – what a universal love, non?). And there was security at the door and a few more staff helping customers find exactly what they were looking for. I look forward to writing a detailed post on this store in the coming weeks, but if you have never been there, there are only two aisles (in the shape of an L). That’s it. In other words, very close quarters with lots of knives. 🙂 Again, another magical moment, and after picking up a copper skillet, a few more knives and necessities, they packaged it up for me, and I was on my way (to buy another piece of luggage as well as head back to my hotel). And so it is with a bittersweet farewell I fly out of Paris today. On the one hand, I am ready. My mind is exhausted and most importantly, I desperately miss my boys. With each dog I see, I become a little more emotional as the trip progressed, and to arrive home will be just as, if not more, exciting than arriving in Paris what seems like so long ago. On the other hand, as much as I tried to savor and permanently place in my memory all that I have experienced, I know that it will be upon reflection that I will realize how most fortunate I was to have this journey. A journey by myself and with myself to better understand a few, if not many things along the way. As I was walking home from dinner last night, I captured the first image at the top of the post. This Parisian edifice is at the top of the street where my hotel is located, and it was at about nine o’clock in the evening as the sun was setting. I haven’t edited it much, as Mother Nature worked her magic, but I couldn’t help but feel that with each visit, Paris and I come to understand each other a bit more, and my fondness deepens. I chose to stay at the same hotel which I stayed when I began my trip, and I am glad that I did, as it did make for a feeling of ‘home’ so-to-speak. I knew how to arrive here, assure the taxi driver that yes, this was where I needed to be dropped off with all of my luggage, I knew the staff, and since I loved my first few nights here as it is quiet even when the city is alive with bustle, I knew I would sleep well. Funny enough as I was walking back into my hotel yesterday, for the first time I realized that at the gate of entrance is a perfect view of the Tour de Eiffel. Why I didn’t see this iconic silhouette in June, I do not know, but I finally did see it and I think it was perhaps intentional that it was my last full day as I was reminded that often we don’t know why or how our trips, even our lives, are unfolding in our favor, but if we continue to be curious, if we continue to strive forward with sometimes blind faith and just a hint of intuition, we discover the universe truly is a magical place and it often does want to gift us with what we desire. The key is to come to truly understand what life you want to build for yourself. Avec une grande affection France, jusqu’à à la prochaine. ~TSLL blog news – Beginning Monday, July 23rd, detailed posts inspired by my trip will be shared and on Tuesday, a post detailing my time at Patricia Wells’ cooking score will be posted here on the blog. In the meantime, I have organized all of my IG images (stories pics and videos) in the Highlights section. Look for France Part 1-10 as they are shared in order of the trip. Remember, you must have an IG account to see the Highlights. Follow TSLL @thesimplyluxuriouslife to see all of the IG permanent posts and stories. I appreciate so much that I got to virtually accompany you on this wonderful trip. Brought back great memories of our time there and provided incentive to return – we’re thinking maybe next year! Looking forward to next week’s blog posts. Hope you have a relaxing and rewarding break! Thank you for sharing your adventures, Shannon! Looking forward to reading more about them. Safe travels! Shannon, I love both of the above-mentioned cooking equipment shops. a simone especially for her beautiful products. I’ve so enjoyed taking my visitors to shop for luscious items to take home to their personal cuisines. The “ohhhh-ing and ahhhh-ing” and “…look at this” is such fun to witness. So glad you had a wonderful time in my adopted country. I love the way you methodically planned your time in France, resulting in the ultimate experience. As for Paris, it never, ever disappoints! Enjoy the remainder of you summer! I must say your trip would be one I would absolutely love to do. Amazing, in every way! I look forward to your upcoming series. Welcome back! It sounds like you had a wonderful trip and its been nice to enjoy hearing about it. Congratulations to France on winning the World Cup, the celebrations must have been fantastic. England did well to reach the semi’s too so I think we’ve all enjoyed a great tournament. For us non-Americans, football is much, much more than just a game! So true! England as well did wonderfully! Such a memorable time for France especially. Your trip looked so lovely and it was truly inspiring to follow you as you navigated everything. What a perfect ending to the trip with that great view of la tour eiffel! You are authentically living the simply luxurious life. Welcome home! I can’t wait to read your impressions of French life over the months to come! I’m eager to read a post about your travel capsule wardrobe and how it worked as well as your impressions on your closet now that you have returned. And a post about what the ladies were wearing in France! What I noticed when I returned from a trip was how I missed the simplicity of living out of my suitcase and it looked like your choices served you very well! Janis, Thank you for the welcome back. Yes, I was pleased with what I packed, as it turned out to suit well any occasion I had. I will be sure to share more details on my approach and any changes I might make. Thank you for sharing your trip with us! It was wonderful to follow along with you. I’ve followed Sharon’s blog for some time and just loved that you two got together. I’m looking forward to the TSL Kitchen. I’m hoping to spend a few weeks in rural France in the next few years. I have really enjoyed following your trip on instagram. Your idea of planning to take a class while on vacation is a wonderful one that never occured to me before but I will definitely be looking into it in the future. As an avid cook I have been enjoying your cooking related posts and took advantage of your photo to sketch Julia Child’s stove. Looking forward to the simply luxurious kitchen. As a newbie to blogging and instagram I am gleening so much insight from you. Thanks!